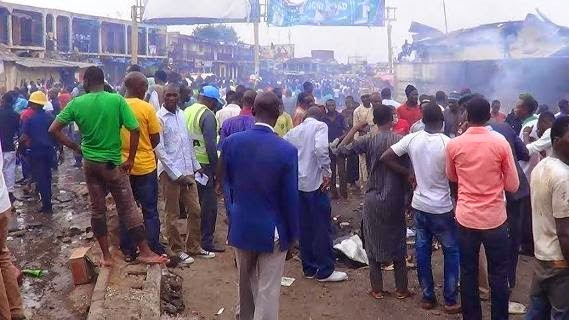 The Igbo community in Jos, Plateau State, has confirmed that 36 Igbo men and women residing in Jos were killed in the twin bomb blast that rocked the city on Tuesday May 20th, with 42 others injured and many others still missing. The Eze Igbo II of Jos Prof. Joseph Obilom stated this today Monday May 26th while addressing newsmen at his Palace in Jos. "Our people were worst hit by the blast. Most of our members are traders, who own shops at the terminus market. Goods worth millions of Naira of our members were destroyed. We are calling on the Federal and State government to come to our aid by sending relief materials to the injured and affected members." he said.